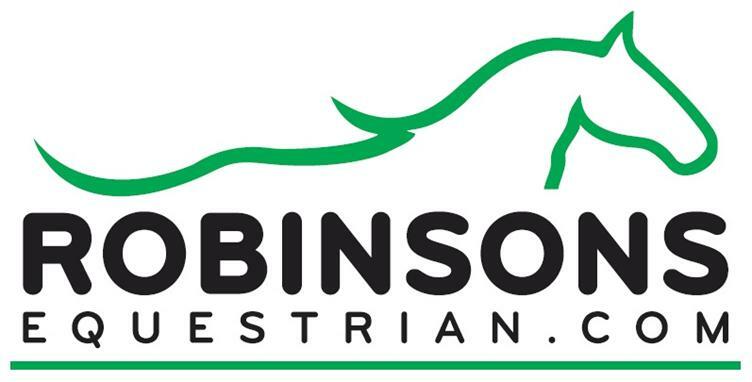 Robinsons, the UK's largest equestrian provider are pleased to announce the location of their next equestrian superstore – in Leeds. The 15,000 sq ft store will be located on the Leeds City South Retail Park, in the Hunslet area of Leeds - just yards from the M621. Formerly known as the Tulip Retail Park, it's also home to a Range discount store and a PureGym, amongst others. It's been over three years since our last store opening so we're delighted to add this new store to serve customers in another part of the country. We've always been proud to have so many customers from Yorkshire, ever since we first took a show stand at the Great Yorkshire Show at Harrogate nearly forty years ago. With the new store only a short drive from all the riders and horse owners in Halifax, Huddersfield, Bradford and Wakefield, we hope it will give us the chance to impress many more for years to come. Our data tells us that West Yorkshire in particular is a very horsey part of the world. Perhaps that's no surprise, considering the fact that the Smith and Whitaker show jumping dynasties both hail from the area. We can't wait to open the doors and see what people think of it! There's no announcement on an opening date yet but it's expected to be some time this year. Look out for further announcements in the coming weeks. Once open, the store is likely to be the largest equestrian store in Yorkshire at 15,000 sq ft. We expect that further store openings will follow in other parts of the country as and when suitable sites can be found. 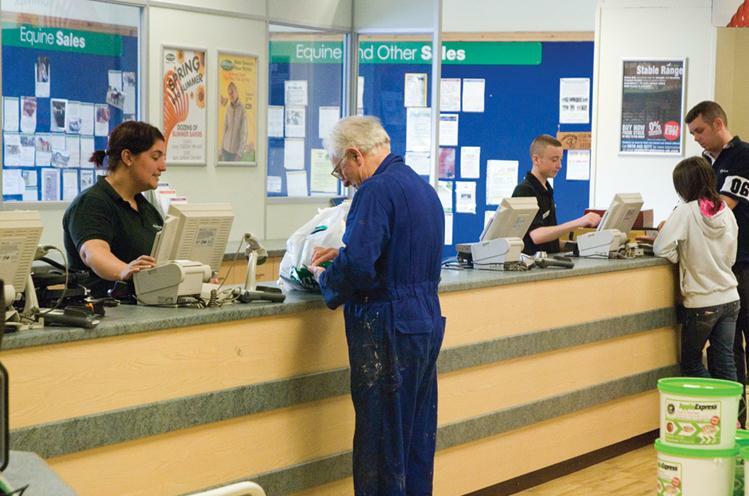 We know many horse owners and riders lead very busy lives, so to save you time and prevent any wasted journeys we now run a ‘call & collect’ service at all of our stores. If you want to be sure that your local Robinsons store has what you want before you visit, simply give them a call. Robinsons store numbers: Ashton Megastore – 0844 573 1002 Basingstoke Megastore – 0844 573 1006 Cannock Superstore – 0844 573 1005 Cardiff Store @ Pugh’s – 0844 573 1007 Leeds Megastore - 0844 573 1003 A member of staff at the specific store, will check that the item you require is available in the colour and size that you want and the item(s) will be labelled up and put away ready for you to collect, until the end of the next working day. Now’s a great time to replace your riding hat as for a limited time only, we’re offering 20% off the RRP of all riding hats and skulls online and instore. The most important piece of equestrian clothing is a riding hat. It’s mandatory for children under 14 years of age to wear protective headgear that’s fastened securely, when riding a horse on the road. The hat must be kitemarked to PAS 015 or EN 1384. Riding hats consist of a hard shell lined with shock absorbing material and provide vital protection for the rider's head should they fall from or be kicked by a horse. As well as wearing a riding hat at all times when riding, it’s also recommended to wear a riding hat while lungeing, or handling any horse from the ground. Riding hats should always be replaced immediately if they suffer a severe impact, whether this if from being dropped onto a hard surface or after a fall from a horse. Although no visible damage may be seen, any severe impact to the riding hat can result in diminished protection. In addition the protection offered by any riding hat diminishes over time as the padding inside becomes compressed. This is why riding hat should be routinely replaced every 4-5 years even if there are no visible signs of damage. You should never buy a second hand hat as there’s no way to be certain that any second hand riding hat, even if it looks intact, has not received a severe impact in the past that could result in diminished protection.20% Off Riding Hats & Skulls Online and Instore! 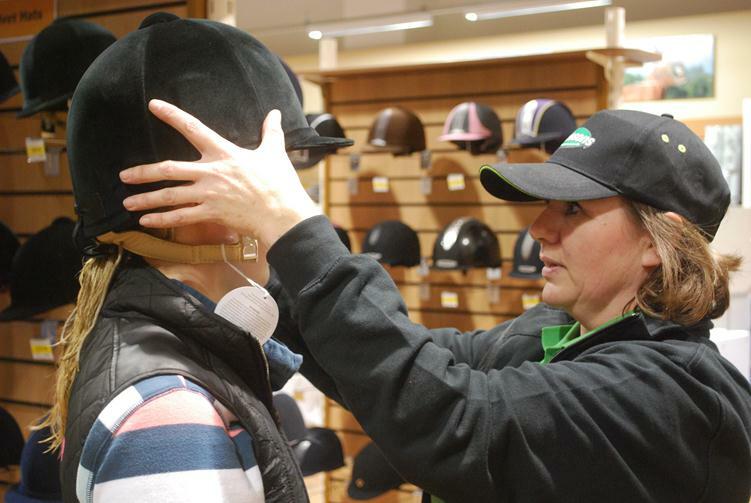 So, if you haven’t replaced your riding hat following a fall, are wearing a riding hat that is more than 5 years old, or you’re wearing a riding hat you think might not fit you properly, this is your chance to purchase a new one at a discounted price! The offer is available online and instore until Sunday 14th September 2014. Our Spring Summer 2014 stock is due in at the beginning of March, which means we need to make room in our warehouse. So, all of our remaining Autumn Winter 2013 stock has to go = End of Season Sale time! With nearly 4,000 lines discounted, you’re bound to see something you need or just want! You’ll be able to grab one or more of these great bargains from Thursday 20th February. The End of Season Sale starts at 8am, online and instore. Our Online End of Season Sale starts at 8am, Thursday 20th February. Everyone loves a deal, so it’s well worth setting your alarm and being one of the first to check out what’s available. As stock is limited on some of the items, it’s a case of first come, first served. Don’t forget that if you’re choosing to shop the Sale online, you’ll also be able to collect Rider Reward points for any purchase that you make! Alternatively, if you’ve already got a stash of Rider Reward points…maybe now’s the time to spend them :-) Here’s a little taster of what you can expect to see when you jump on our site on Sale day: More than 60 different styles of Jackets and Gilets! 5,500+ tops, polos, fleeces and hoodys to choose from! Discounted stock from top brands including Horseware, Tottie, Hunter, Weatherbeeta, Joules, Toggi, Ariat and Mountain Horse! Over 40 different types of footwear – all priced to sell! More than 2,000 turnouts, stable quilts and fleeces! For those of you who prefer to handle your bargains before you buy them…Our Instore End of Season Sale starts at 8am, Thursday 20th February. At our Ashton, Basingstoke and Cannock stores you’ll be able to grab a bargain from 8am until 8pm on Thursday 20th February. Our Cardiff store will be open at 8am but will close a little earlier, at 5.30pm. If you are planning a visit to any of our stores during the Sale, here’s a quick guide to each store, their contact details, their opening hours and much more. 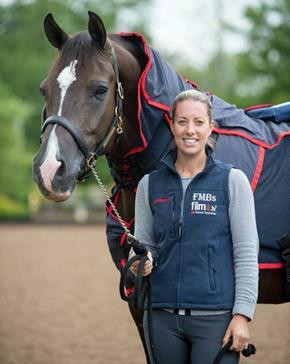 Ashton-in-Makerfield, Lancashire Cannock, Staffordshire Basingstoke, Hampshire Radyr nr Cardiff, Glamorgan However you choose to shop, we’re confident you’ll find plenty of very tempting bargains in our End of Season Sale, for both you and your horse! Please note that not all items that appear online will be available in all stores. Excellent - Our 2013 Feefo Service Rating Awarded By You! Hopefully by now all the presents you’ve pondered long and hard over are safely and lovingly, wrapped and under the tree ready to be torn open in a matter of seconds on Christmas morning. After spending all your hard earned money on your loved ones, surely now it’s time to treat yourself. Our Online Winter Sale starts at 8am, Monday 23rd December. We’ve not been shy with our mark downs, so there’s bound to be something in the sale section that you’ve had your eye on for a while, or something that’s simply too good a bargain to turn down. As our online Sale starts on Monday 23rd December you can browse the website without your judgement being clouded by too much Christmas booze and food! So, this could be the best way to get yourself a present that you actually want and save yourself a lot of effort and money in the process. Stock on some of the items is limited so be quick, as these bargains are going to sell out fast! The online Sale starts on Monday 23rd, but for a few days beforehand, we’ll make the whole online sale selection available for you to view, in a Preview mode. The site won’t let you buy until the Sale starts, but you will be able to add any Sale items to your wishlist to speed up the process of buying it on the day! Although adding to the wishlist doesn’t reserve the items for you, it does reduce the chances of missing out on the available stock if you come back to check out your wishlist as soon as the Sale starts. In recent Sales, we’ve seen thousands of customers using their wishlists in this way – it’s a bit like having a Fast-Pass at a theme park! To set up your wishlist, you’ll need to log in to the site – or register if you haven’t got a login. Here’s where you can log in or register. Once you’re logged in, simply browse as normal and use the white ‘Add to Wishlist’ button for any item you want. To see all the items you’ve done this for, just click on the ‘Wishlist’ button on the header – this is visible from any page.For those of you who prefer to handle your bargains before you buy them… …Our Instore Winter Sale starts at 8am, Friday 27th December. At Ashton, Basingstoke and Cannock you’ll be able to grab a bargain from 8am until 8pm on Friday 27th December. Our Cardiff store will be open at 8am but will close a little earlier, at 5.30pm. Instore bargain hunting is a great form of exercise after all that food on Christmas and Boxing Day and with all those reduced prices, it’s a great way to make your Christmas money spread that bit further! If you are planning a visit to any of our stores during the Sale, here’s a quick guide to each store, their contact details, their opening hours and much more. Ashton-in-Makerfield, Lancashire Cannock, Staffordshire Basingstoke, Hampshire Radyr nr Cardiff, Glamorgan Happy Christmas and don’t forget to let us know what you get from the Sale!